We asked, and you answered. The field started with 56, and after weeks of voting you've narrowed it down to arguably the most hated man in hockey. Mike Milbury has gone from being the top seed in a bracket bearing his name to being named the Biggest Pens Villian by edging out Brandon Dubinsky in the finals. It's little surprise to see Milbury come out on top after crushing tough competition that also included David Volek, John Tortorella, Alexander Ovechkin, and Zac Rinaldo. The fact that Mike Milbury can have as many embarrassing stages to his career as he's managed is rather remarkable. 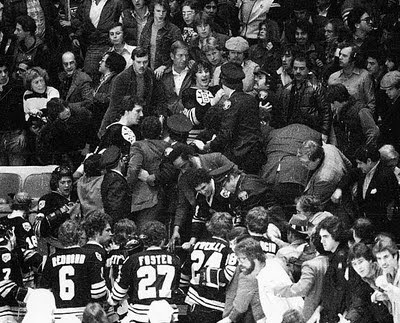 As a defenseman for the Boston Bruins, Milbury once hopped over the glass after a game, grabbed a fan that had been harassing a teammate, took off the guy's shoe, and beat him with it before being restrained. He was suspended for only 6 games for his actions, and the incident led to the NHL installing taller glass around the rink. For most people, this incident would be the thing that forever followed them around, both as a person and in the hockey world, but it's telling that the shoe incident usually isn't the first thing brought up when arguing how awful Mike Milbury is. And it's mostly because Milbury is arguably the worst GM in NHL history. 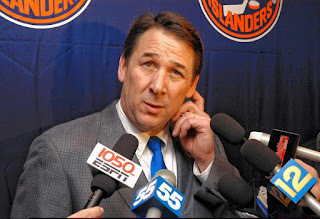 As dysfunctional as the New York Islanders were, it's still unbelievable that Milbury was able to stay in his role as general manager for 11 seasons, but that's exactly what happened. During this time, would go on to trade Roberto Luongo three years after drafting him 4th overall in order to take Rick DiPietro with the 1st overall selection in the 2000 NHL draft ahead of Marian Gaborik and Dany Heatley. If that wasn't bad enough, Milbury would end up trading next year's top pick (2nd overall) as part of the trade to get Alexei Yashin to Long Island, where he'd promptly overpay him on a longterm contract New York bought out in 2007 and just finished paying last year. 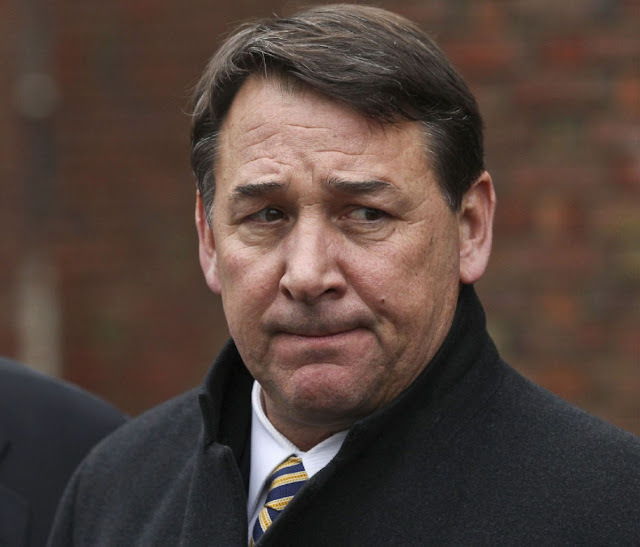 And of course, given that this is Mike Milbury, that's not the worst part of it. That 2nd overall pick was used on Jason Spezza, and Milbury also had to include defenseman Zdeno Chara in the deal. Given what can only be described as a complete inability to think hockey at anywhere near a competent level, the only next logical step for the disaster that is Mike Milbury was to get a nationally televised job offering his opinions on the game and its players. 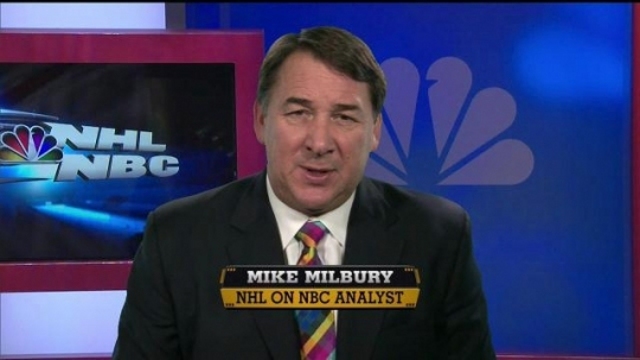 Somehow, someway, presumably only for the irony of calling Milbury an analyst, he's managed to get paid jobs for both CBC's Hockey Night in Canada as well as his current position doing the intermission report for NBC. Naturally, he offers the same outdated opinions and goon mentality that he displayed over and over again during the previous decades. Basically Mike Milbury's entire career has been one big running joke, and it appears to be one that has still yet to reach its punchline.